Monitor the end-user experience 24/7. Monitor system health around the clock to troubleshoot performance issues. Measure load time and latency, pinpoint slowness, and ensure up-time to improve the end-user experience. Get immediate alerts when something fails and set up automated triggers to integrate with bug management systems. 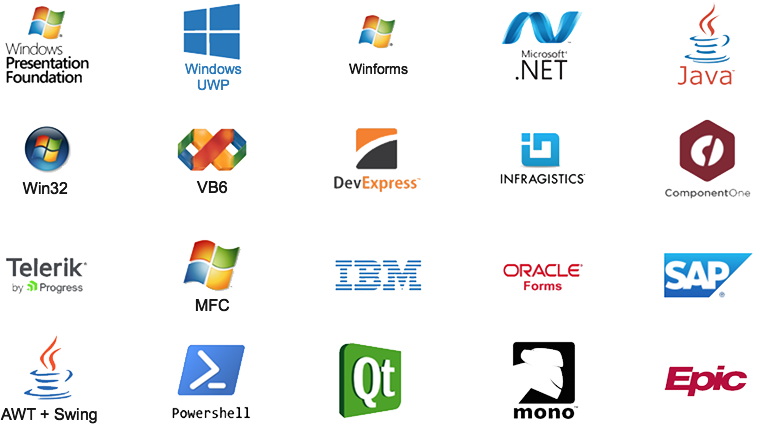 LEAPWORK supports all common platforms and frameworks for desktop applications as well as virtual and remote desktops. 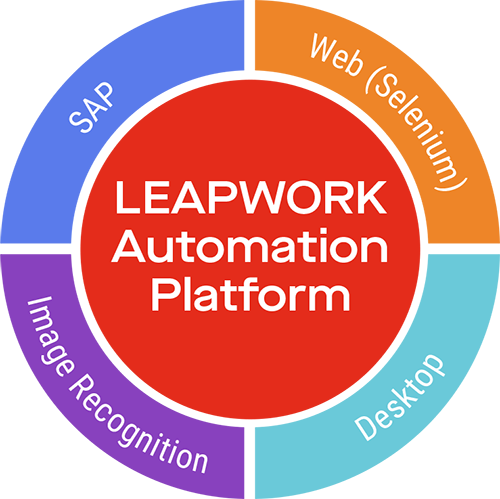 Our customers are using the LEAPWORK Automation Platform for monitoring systems within health care, online banking, utility services, and much more. 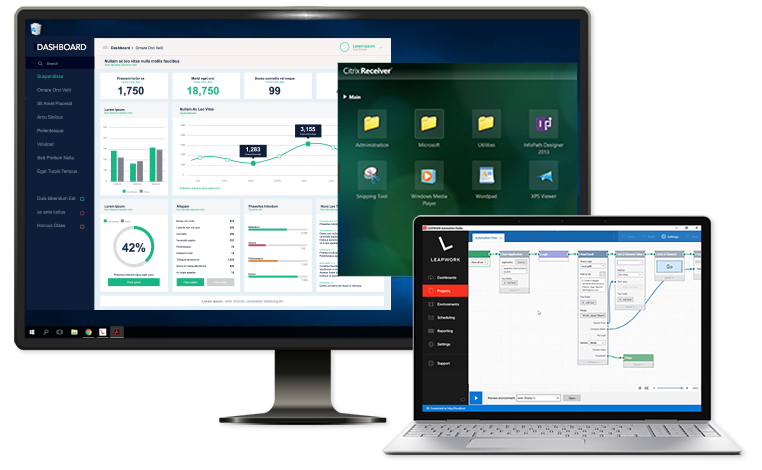 Set up automated monitoring of critical systems and applications by drawing user processes as workflows. Then schedule them to run as often as needed on both local, virtual, and remote environments. 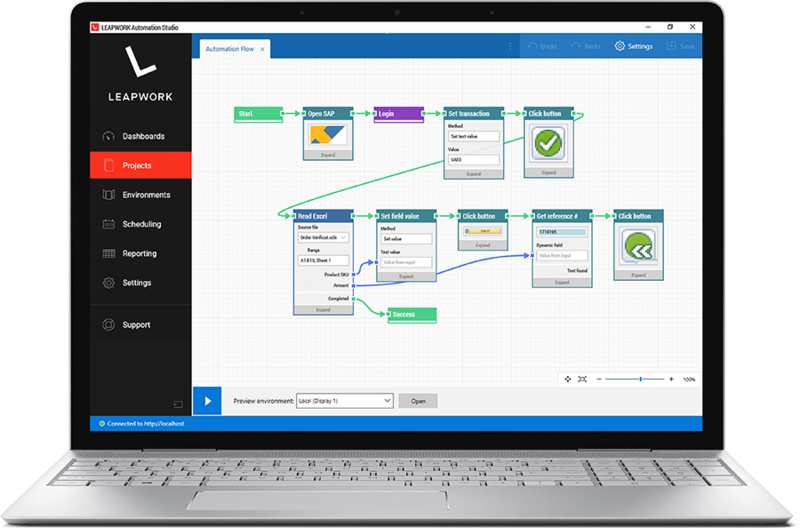 Build and execute automation cases of all processes and technologies from day one with the flowchart-based designer. 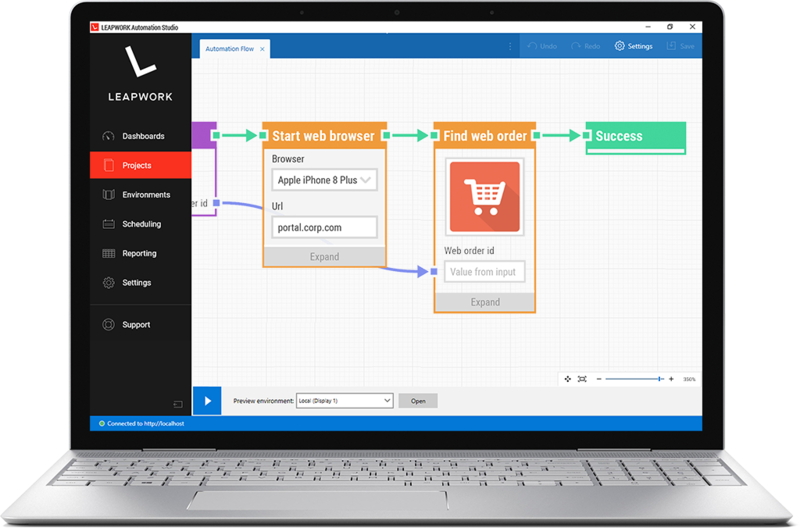 Users at all business levels can design automation flows without ever typing or reading a single line of code – and then execute cases with the click of a button.